There were several Fiat 500 concepts at this year&apos;s Geneva Motor Show, but the most interesting one, in our opinion was the 500 Coupe Zagato. 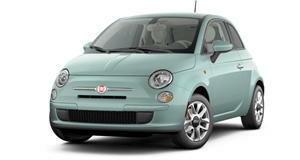 And according to a recent report coming out Fiat, the car is set for a very limited production in Mexico. Some of the exterior design differences over the standard coupe include the design firm&apos;s famous double-bubble low roof and teardrop windows. Pricing hasn&apos;t been announced, but it appears the car will be available with a choice of the standard 500 engine options, including the all-new 105 hp turbo charged two-cylinder. Sadly, it looks like the 500 Zagato Coupe will be for Europe only, as the chances of it coming stateside are quite slim.